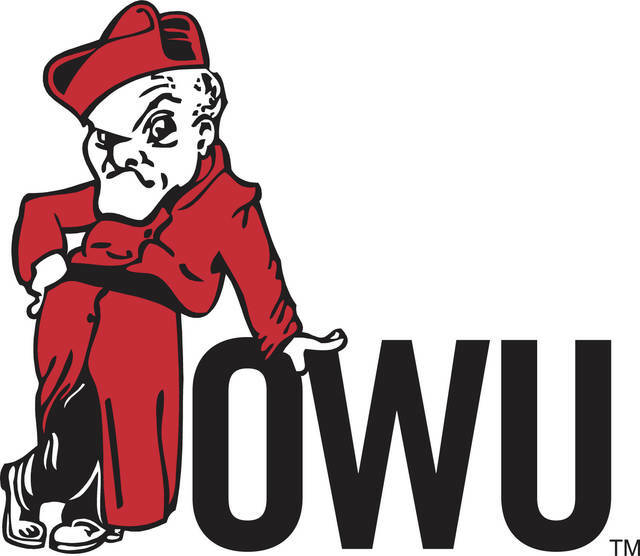 The Ohio Wesleyan softball team’s youth movement was on full display in Saturday’s doubleheader split with Denison at Margaret Sagan Field in Delaware. Six of the Battling Bishops’ 10 starters were freshmen, including pitcher Madi Drabick (4-1), who started both ends of the double-dip. Drabick took a no-hitter into the sixth inning in the first game, in which the Battling Bishops won 9-1 in six innings – a game that saw one record fall and another tied. Freshman Madison Bridger picked up four hits in as many at bats, tying the school record for hits in a single game – the fourth time this season the feat has been reached. Peppered in a lineup full of freshmen are a couple of seasoned seniors, including Ferguson and Kayla Richard. Ferguson is so trusted by the coaching staff, she calls the game from behind the plate herself. Ferguson’s three-run homer in the sixth inning broke the school’s all-time record. It was her 14th round-tripper breaking the record set by Taylor Dickson, who graduated last year. “I’ve been working a lot on my hitting and, as a senior, a lot of these coaches have seen me and know where my weaknesses are,” she said. “I just go to the plate with an open mind and know that I can hit anything that’s thrown at me if I try. “She left it right down the middle,” added Ferguson about her record-breaker. Richard ended the first game on the next pitch with a deep fly over the left-center field wall – roughly the same spot that Ferguson dispatched her record breaker. Ferguson finished with three hits and drove in four runs in the opener. Richard added a couple hits and a RBI and Drabick finished with a pair of hits and scored three times. Drabick (4-1), however, was almost unhittable. She set down the side in order in the first, second, fourth and fifth innings. Two batters reached on errors in the third before Emilie Fisher’s two-out single in the sixth broke up the no-no. Fisher stole second before Lauren Secaras brought her home with a base hit to end the shutout, accounting for the only two hits on Drabick’s pitching line. Sarah Herold (3-2) went the distance for Denison and took the loss. Drabick’s first-game outing convinced Cunningham to run her back out there in the second game. But, Denison was able to adjust in the second game, putting up four runs in the first two innings before breaking out for six runs in the sixth on its way to a 13-10 victory. She settled down over the next couple of innings as OWU’s offense responded to take a 6-4 lead. Laura Bagan tied the game with a two-out, two-run homer in the fifth that chased Drabick. Began added a RBI double in the sixth and finished with three hits and four RBI to lead the Big Red (6-4, 1-1). Amanda Howell, Lauren Secaras and Mckinly Vazquez each tallied three hits in the second game. Howell had a double, drove in three runs and scored twice. Secaras (2-0) got the win in the circle with a complete game. She tallied a double, a pair of RBI and scored two runs. Kendall Kaiser (0-1) took the loss for OWU, allowing five runs (four earned) over 1.1 innings in relief. Ashley Day had three hits and Richard and Kennedy Sattler had two hits apiece. Richard drove in three runs, while Sattler and Drabick each drove in a pair. OWU got the tying run to the plate in the seventh despite the big deficit. But, Secaras picked up a strikeout to end the comeback bid. Next, OWU hosts NCAC-foe Wittenberg in a doubleheader Wednesday afternoon at 3:30 p.m.
Ohio Wesleyan 6, Oberlin 5; Ohio Wesleyan 9, Oberlin 1. Ohio Wesleyan 20, Hiram 7. Ohio Wesleyan 3rd of 10 at Cedarville Yellow Jacket Collegiate Outdoor Open. Ohio Wesleyan 4th of 12 at Cedarville Yellow Jacket Collegiate Outdoor Open. Kenyon 18, Ohio Wesleyan 7. Oberlin 8, Ohio Wesleyan 1. Ohio Wesleyan 7, Geneseo State 2.